When it comes to big games on the Xbox One – which is to say, games that aren’t available on the PlayStation 4 – the list is pretty short. This week’s launch of “Sea of Thieves” is an outsized addition to that list. Rare/MicrosoftThe game looks this good, no joke. 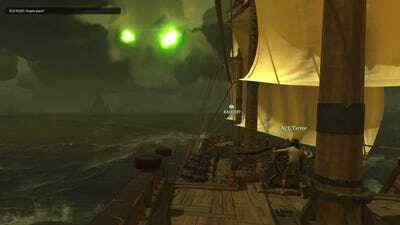 Over 20 years after Rare created classics like “Goldeneye 007” and “Perfect Dark” for Nintendo, the veteran game studio is back with something completely different: A massive, open-world pirate game that’s only on the Xbox One and PC. 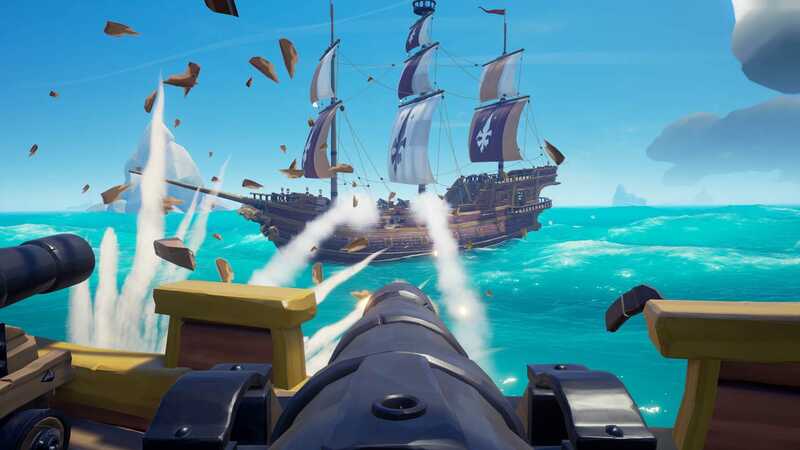 And with “Sea of Thieves,” Microsoft has an amibitious new addition to its list of console exclusive games. It’s an online-only game, meaning you can only play the game in an open world full of other pirates (actual human players). The game never holds your hand, instead depending on players to teach each other and themselves how to play. And there’s no one narrative – the story of the game is what happens while you take on and complete quests. In my brief few hours with it so far, I’ve found a lot of promise and charm in “Sea of Thieves.” Here’s why I think you should give it a shot. “Sea of Thieves” nails the concept of emergent narrative storytelling — the “story” is the tale of how you completed your quest, not the quest itself. This morning, I was sailing in a galleon – a large, three-sail wooden ship – with three other player-controlled pirates. We were headed toward a small tropical island that was said to contain a treasure chest. The mission was simple: Sail to the island, trek to the X on the map, and dig up the treasure chest. 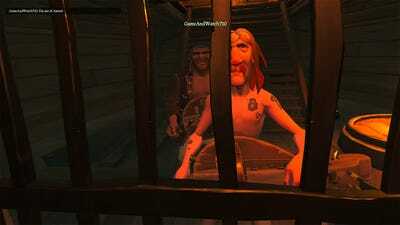 When we got to the island, we grabbed the chest and started to head out. But what was that ship in the distance? Should we stop? Should we fight? We headed in its direction, and it turned out that it was a much smaller ship (a “sloop,” to be technical). Just as we were arriving, its sails dropped and its crew of no more than two hightailed it. But we were already within firing range, and I nailed the ship’s lower rear with a cannonball. As the ship filled with water, its small crew were forced to address the damages rather than even try to sail away from us. As our ship closed in, three of us manned cannons and turned its hull into Swiss cheese. I could tell you the rest of that pirate tale, but we should probably move to a tiki bar. Stories like this are at the heart of “Sea of Thieves.” The game itself isn’t heavy on narrative, but its world is rich with narrative for the taking – if you’re up for adventure, that is. “Sea of Thieves” goes all-in on the sailing thing. Rare/MicrosoftYes, that cloud does look like a skull with glowing eyes. Are you ready to handle some freakin’ ropes? How about playing sea shanties with your drunk friends? Maybe you’re more of a spyglass person? Oooh, or how about reading maps? Get ready for all of that and more, as “Sea of Thieves” is, first and foremost, a game about navigating the sea in an old ship. I mean that in the nicest way possible, as it’s tremendously fun to play. -First, we had to pull up the anchor. Even with all four of us working at it, it still took about 10 seconds. -Next, we had to lower the sails and angle them. While my buddy took the helm, I ran from rigging to rigging, carefully lowering and angling the sails for as much wind as possible. -Meanwhile, another player went below deck to our map table, where he compared his treasure map (which depicts the island’s shape) to the larger map in front of him. When he found the right island, he marked it on the map. -Then, he explained to my buddy on the helm which direction to head. He also warned of potential obstacles in the way. That’s all before we start talking about the process of stopping the ship, repairing the ship, or fighting enemy ships. None of this stuff is technically demanding – it all operates like normal video game stuff – but if you’re looking for a game that’s focused on shooting blunderbusses and cutting down foes, this ain’t it. “Sea of Thieves” doesn’t hold your hand whatsoever, which is both great and not so great. Rare/MicrosoftThe incredible view from inside of the ship’s very small brig (which is basically just a human-sized cage). At first, “Sea of Thieves” was downright confusing. There’s no introduction whatsoever, no form of tutorial. You don’t even know which buttons are which if you don’t go looking in the settings menu. As I soon realised, the game is mostly intuitive. Of course you have to lower the sails before the ship will move! And the controls are mostly standard video game controls for a first-person game – A to jump, X to interact, and what have you. In this way, “Sea of Thieves” seemingly trusts players to figure it out by themselves. Better yet, it asks players to help each other. Unless you’re piloting a small ship by yourself (which is dangerous), “Sea of Thieves” requires multiplayer cooperation. There’s simply no way to manage steering a massive galleon by yourself without getting overwhelmed. In the vast majority of my time with “Sea of Thieves” thus far, this forced cooperation has been very positive. Strangers help me, I help them, and everyone wins. Unfortunately, in the very first group I joined, I was immediately voted into the ship’s brig, for no readily apparent reason other than to be cruel. There is no way out other than quitting the game – or if the very people who locked you in vote to let you out. I didn’t wait to find out. It was a great reminder that multiplayer games are best played with friends instead of strangers. “Sea of Thieves” is absurdly pretty. I’m playing “Sea of Thieves” on an Xbox One X, the extra powerful Xbox One that powers 4K and HDR visuals. I’m playing it on my new-ish TCL television (this one), which supports 4K and HDR visuals. With my setup, “Sea of Thieves” is an absurdly pretty game. It’s a gorgeous mix of cartoon-style visuals with stunningly real water. The sky at night is lit up with stars, and storms rage with an impressive amount of water spray effects. And sunset! Just look above! 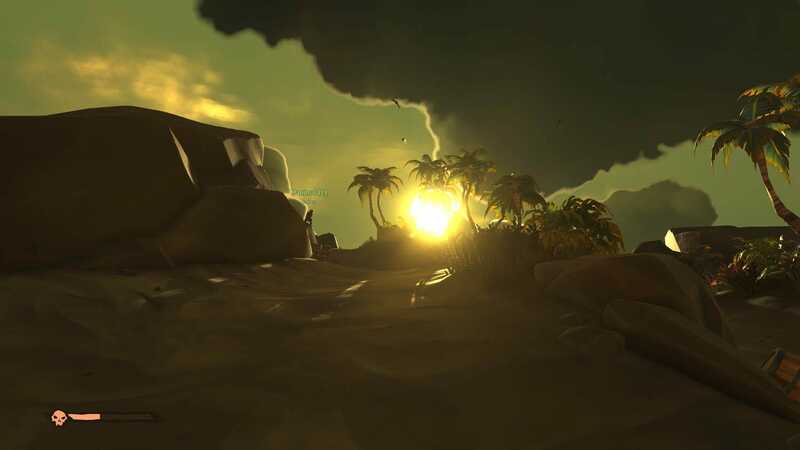 The hazey, melty tropical sun looks incredible in “Sea of Thieves.” I am constantly impressed by its visuals. 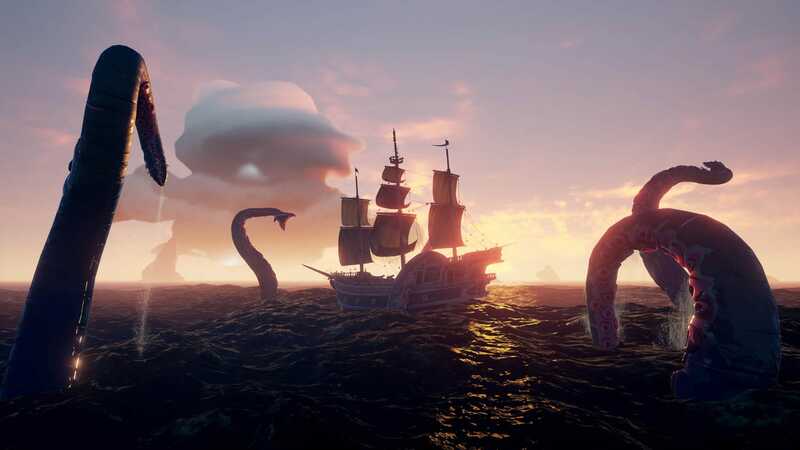 “Sea of Thieves” is mysterious and large, which is fascinating. There’s a lot to see in “Sea of Thieves” – or so we’re told. There are Krakens, as you can see above, and skeletons with swords (I’ve already cut down many on my never-ending journey for booty). But much of the game is locked away until you reach higher levels, and I’ve yet to experience it. You can customise your ship with different types of sails and regalia, and you can customise yourself with new clothes. And, presumably, the things you’ll encounter on missions as the game progresses will be more complex than the relatively simple enemies you’ll encounter early on. It also sounds like the missions themselves will grow in complexity, and higher level players will be able to take their lower level friends along for the ride. 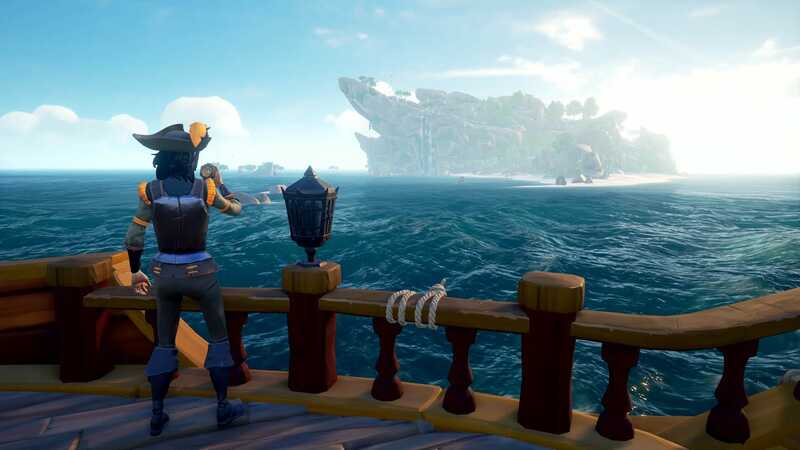 As you can tell, much of “Sea of Thieves” remains shrouded in mystery. It’s not even entirely clear how many other players are in a server with you at any given time. As such, the game kinda feels like one massive world – which is fascinating and ambitious. An open-world pirate game set in an online world full of other real people? And we’re talking about a major Xbox One game in 2018, made by the studio most well-known for developing “Goldeneye 007” on Nintendo 64? And it works?! I wouldn’t suggest you run out and buy an Xbox One to play “Sea of Thieves” — not <em>yet</em>, anyway — but it’s certainly worth your time if you’re an Xbox One or Windows 10 PC owner. Given the nature of “Sea of Thieves” as an online-only game set in a living world, it’s hard to say if it’s amazing, or boring, or really anything just yet. Maybe its charm will wear out, or maybe it’s full of huge, incredible surprises, or maybe something else entirely. It’s hard to say with games of this type, in such a limited experience. What I can say is that my five to six hours with “Sea of Thieves” so far have been overwhelmingly positive, and I’m excited to play more of it. 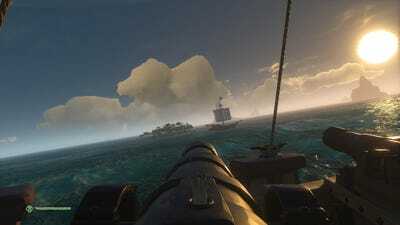 The best experiences I’ve had in “Sea of Thieves” so far were with other people I know, with both of us using voice chat headsets – it makes the simple operations of the ship much easier. It also makes it much more exciting when you’re in the middle of battle. That said, if you prefer playing with strangers without a headset, there are in-game emotes and pre-baked messages that you can send to other players. I’ve had no problem communicating with other people, even without a headset. 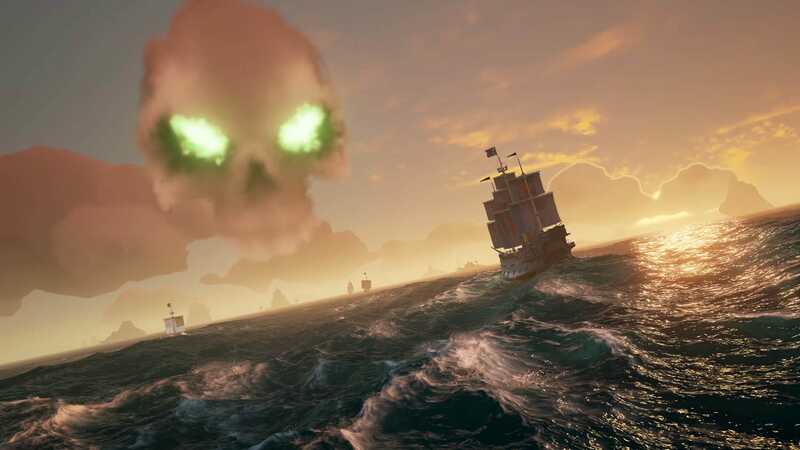 And as a final note, Microsoft is trying something new with “Sea of Thieves” – it’s included with Microsoft’s $US9.99 Game Pass, where you pay for unlimited access to a library of Xbox One games. It’s the cheapest way for Xbox One players to get started.